Citation: Katayama N, Chiba K, Nakayama Y, Konda S (2019) Difference between Nourishment Calculated Value and Analysis Actual Value in the Dietary Menu. 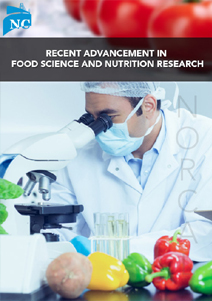 Recent Adv Food Sci Nutr Res 2019:66-75. In 2015, Consumer Affairs Agency announced the new law about nutrient labeling in Japan. This law was made mandatory to perform it through a period of grace from 2015 through 5 by all means by 2020. Cooking process was have boiling, saute, fry and cook Et cetera. It must be different between a nourishment calculated value and an actual value. We must consider that there is the nutrient which is lost in a cooking process or broken down. However, there are few reports that compared the calculated nourishment value with the actual value about many nutrients at a time. Therefore, we report this study for the product for the purpose of selling it at a restaurant because we compared the actual value with the nourishment calculated value. Vitamin C became the detection limit of the analysis by cooking it. The mineral did not greatly have a difference with a calculated value and an actual value in the soup. The nutrient labeling by the calculation in the meal is only an aim. It was revealed that the nutrient labeling by the calculation in the meal might not be helpful depending on vitamins at all. It is necessary to take in the nutrient by eating in freshness depending on vitamins. As a result, it is necessary to tell consumers, do not trust nutrient labeling only. In 2015, Consumer Affairs Agency announced the new law about nutrient labeling in Japan. This law was made mandatory to perform it through a period of grace from 2015 through 5 by all means by 2020. As a result, much food companies came to perform nutrient labeling for food. It is often perform food indication by depending on Japan Food Research Laboratories about the ingredients of the one piece of article, and analyzing a nutrient, and obtaining a result. However, in the case of a meal, the nutrient labeling often displays a calculated value using the nourishment calculation software. Many ingredients are put together and, after a cooking process, are eaten. Cooking process was having boiling, saute, fry and cook Et cetera. It must be different between a nourishment calculated value and an actual value. We must consider that there is the nutrient which is lost in a cooking process or broken down. However, there are few reports that compared the calculated nourishment value with the actual value about many nutrients at a time. A purpose of this experiment is to check how different the actual value that can depend on food analysis is from each five articles (staple food, the main dishes, side-dishes, soup, dessert) of nourishment calculated values that we made as a menu. There are few reports that showed a much nourishment analyses level for quantity of one meal (staple food; the main dishes; side-dishes; soup; dessert) at a time. We made the menu which a dietary-fiber could take in enough. The guidebook for the nourishment calculation that we used when we put up a menu is Standard tables of food composition in Japan. The menu is five dishes in total. The breakdown of the menu is staple food, the main dishes, side-dishes, soup and dessert. We made these five dishes as a meal. We performed nourishment analysis using these five dishes. Five dishes are samples. All the samples of this experiment depended on Japan Food Research Laboratories and performed food analysis. Each sample is made with the quantity that a person eats as a meal. Therefore, the weight of each sample is different. The sample got analysis as nutritive value per 100 g each from Japan Food Research Laboratories. This analysis becomes the actual value. We compared the nourishment calculated value of the menu with the actual value of the nutritive value obtained from Japan Food Research Laboratories. Therefore, we report this study for the product for the purpose of selling it at a restaurant because we compared the actual value with the nourishment calculated value. In addition, we added the swamp thistle registered as a world heritage of the meals as ingredients this time. The swamp thistle was authorized as a world heritage of the meals by the 36th. It was necessary to know the nutritive value of swamp Asami and depended on Japan Food Research Laboratories and analyzed a nourishment ingredient. We had Japan Food Research Laboratories analyze freshness and the powder of the swamp thistle. We made a menu from this analysis data. We made the menu (staple food; the main greens; vice-greens; soup; dessert) for meals to offer to the restaurant. We used Excel nourishment Ver8 by the nourishment calculation of the menu. We made a meal according to a menu. We orderd Japan Food Research Laboratories analyzed nourishment for the meal which we made one. The analysis data of this meal are only once. But Japan Food Research Laboratories analyzes multiple times for one sample. From the mean of the analysis that the result went to the multiple times, the result per 100 g is reported. We compared the provided analysis with the calculation result. The menus which we made this time are as follows. The rice which we cook it, and includes it of the swamp thistle. The side dish: The swamp thistle sauté. Rice 300g; Swamp thistle 70g; Tuna (canned food)55g; Carrot 40g; Burdock 40g; Raw shiitake (Japanese Mushrooms) 30g; Fried bean curd 30g; Seasoning liquid A (Liquor 12g, Sweet sake 6g, Sodium restriction soy sauce 6g and Juice of ginger 6g); Seasoning liquid B (Sodium restriction soy sauce 27g; Sweet sake 18g; Liquor Carve Seaweed 2g and Red pickled ginger 10g. We wash the rice and cook it with water of 1.15 times of the rice-weight by using a rice cooker. Swamp Asami washes it and wipes off water and cuts it to 1cm length afterwards. The tuna canned food can be boiling with cooking liquid A in the deep-pan. We cut it to the size that is easy to eat a carrot, a burdock, a shiitake, a fried bean curd. We put cooking liquid B in the deep-pan and boil down vegetables and a tuna until juice disappears. This becomes the ingredient materials. We mix ingredient materials with rice cooked by a rice cooker. We serve completed mixing rice in a container. We put ginger and seaweed on the mixing rice. Swamp Asami 120g; Carrot 80g; Burdock 50g; Wheat flour 100g; Dogtooth violet starch 50g; Egg 50g; Water 100g and Frying oil 500g. Swamp Asami washes it and cuts it to 4cm. The carrot of 4cm shred. The burdock of 3cm shred. Mixing with wheat flour and dogtooth violet starch into the ball. And then, add water and an egg into the ball. We put the vegetables which I cut in a ball and mix it lightly. We fry it in oil of 170 degrees Celsius. Swamp Asami280g; Sergestes lucens (dried foods) 25g; Olive oil 16g; Seasoning liquid A (Sodium restriction soy sauce 24g and Sweet sake12g) and Water 200g. We pour olive oil into the deep-pan. We put seasoning liquid A in the deep-pan, too. We put Sergestes lucens and Swamp Asami in the deep-pan. We boil it until seasoning liquid A disappears. Swamp Asami 50g; Hard tofu 300g; Chicken Breast 80g; Burdock 40g; Japanese radish 100g; Carrot 40g, Raw shiitake 40g White leek 40g Fried bean curd 20g; Olive oil 33g; Broth 1200g; Salt 6g and Sodium restriction soy sauce 18g. Swamp Asami washes it and cuts it to 3cm. Washing the burdock and cut it to 4cm. Slice the white leek diagonally. The fried bean curd shreds it. Cut tofu and chicken that it is easy to eat. We pour olive oil into the deep-pan and boil all materials. If all ingredients soften, it is completion. Swamp Asami (powder) 8g; Refined rice flour 100g; Powder from nonglutinous rice 100g; Tepid water (temperature degree) 190g; Seasoning liquid A (Soy bean powder 8g; Sugar 6g; Brown sugar syrup 32g) and Ice. Put swamp Asami powder, refined rice flour and nonglutinous rice powder into a ball and mix it. Gradually add tepid water to a ball and mix it. It is finished if it becomes the hardness of the earlobe. Divide the dough into 24 and make a rounding off hand dumpling. Make boiling water with a deep-pan. Put a dumpling in boiling water and boil it. Serve a boiled dumpling in a plate with cooking liquid A, then it is completed. To show below the analysis method of various nutrients of the food analysis center. The analysis method of the water is Ustulation method under reduced pressure. The analysis method of the protein is Kjeldahl method. The analysis method of the lipid is Acid decomposition method. The analysis method of the ash is Ashing method. The analysis method of the carbohydrates is calculated carbohydrate quantity by using the weight of the sample of water and protein and lipid and ash. The analysis method of the glucide subtracts quantity of dietary fiber from carbohydrate quantity and calculates. The analysis method of the dietary fiber is dnzymatic-gravimetric method. The analysis method of the energy is calculated by using calculating formula of ato-water. The analysis method of the Sodium and Potassium are atomic absorption spectrometry. The analysis method of the salt substantial amount is calculated by using a sodium content. The analysis method of the phosphorus; Iron; Calcium; Magnesium; Copper and Zinc are ICP emission spectrometry. The analysis method of the Vitamin A (retinol activity equivalent) is calculated by using retinol and carotene. The analysis method of the α-carotene, β-carotene and Vitamin C are High performance liquid chromatography method. We order Japan Food analysis center to analyze the nourishment - for the freshness and freeze-dried powder of a swamp thistle authorized by the world heritage of the meal. We show a result in table 1. We understood that a lot of dietary fibers were included in a swamp thistle. In addition, we understood that swamp thistle had abundant minerals, too (Table 1). Table 1: Analysisi results of various nutrients per 100g: Cirsilm yezoense (Result of Japan food Research Center). Based on the analysis mentioned above, I performed the nourishment calculation (Excel nourishment Ver8 use) of the menu which we made for a restaurant. We show a calculation result in table 2. As a result of nourishment calculation, a dietary fiber, vitamin C, Potassium, Calcium, Beta-carotene and various minerals existed. Table 2: The calculated nutritive value: using Nourishment Calculation Software (Excel Eiyoukunn: Kenpaku co.ltd). We made a meal according to a menu and orderd to analyse the mutrient to Japan Food Research Laboratories for the meal. We show the result per 100 g of meals in table 3. As a result of analysis, vitamin C was detection limit. Table 3: Nutrition analysis value per 100g of food (analysis result of Japan Food Research Center). We calculated the result that we depended on the food analysis center, and was provided again in a meal portion for the one person (Table 4). Table 4: Nourishment ingredient analysis (Japan Food Research Laboratories Analysis). We summarized a calculated value and the actual value in the menu which I made in table 5. Vitamin C existed with the calculated value, but was detection limit with the actual value. Calcium became about half of the calculated value with the actual value. Table 5: Comparison between Nourishment calculated value and nourishment actual value. The mineral had less decrease than vitamins, but after all there was fewer it with the actual value than a calculated value. The dietary fibre was about the same with both the calculated value and the actual value. we really accepted the disagreement with the calculated value to many nutrients by analyzing the nourishment ingredient of the meal. The nutrient particularly the vitamins largely decreased by a cooking process. We were not able to detect vitamin C. We add vegetables and the fruit which are raw (do not cook) to a meal by all means and think that it is necessary to take in vitamin C. The mineral was lost by a cooking method, too. In the past report, many researchers reported that water-soluble vitamins such as vitamin B complex and vitamin C decreased in a cooking process [1,2,3]. In addition, it is reported the loss of the mineral in the cooking process . However, they did not analyze much nourishment ingredients, at once like us. It is reported ingredients to plural studies on change of the nutrient in the cooking process [5,6]. In a cooking process, there are many reports that mentioned fried food . However, there are few studies indicating the analysis on whole meal. We think that it helps future menu making to compare the actual value with the calculated value of the nutrient like our study of this time. We think a gross quantity to be able to take in the meal which we can take in without missing a nutrient like soup. The nourishment calculation software to use to calculate nourishment is based on Japanese meal intake standard 2015. We knew that there is around + -10% of width of data. It became clear that there was half the nutrient which became lower than the following or detection limit by cooking it. It is not all, but thinks that it is necessary to eat raw fish and fresh vegetables and raw fruit. We think that seaweed or the mushroom is helpful to take in vitamins and a mineral. Many ingredients understand that the content of the nutrient changes by a season. In consideration of a nutrient decreasing by cooking, it thinks to take in combination in various ingredients in daily life that necessary. In addition, it is June that we tested. The culinary plants which we used for meal making may vary in nutritive value by a season. Therefore, it will be necessary to analyze plural samples in future. In addition, the ingredients are more likely to vary in nutritive value by a season. 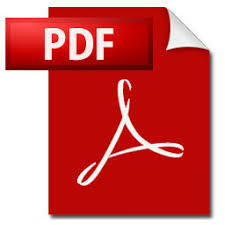 Therefore, it will be necessary to analyze the same menu every season in future. We washed vegetables by this experiment. We think that there are vitamins and the mineral which we lose by washing it. In addition, we think that there are the vitamins which are broken in adding heat (boil, fry et. cetera). The actual value that Japan Food Research Laboratories analyzed was different from the nourishment level which we calculated using Standard tables of food composition in Japan. Difference in nutritive value shown in an individual is not only the production center of ingredients and a difference of the seasons. We think that the loss of the nutrient in the cooking process is included. As for the nourishment calculated value, the quantity of a rough nutrient understands that an experiment revealed it at this time, but is that attention is necessary about a nutrient (vitamin C in particular) which is easy to be lost. we think that it is necessary to eat freshness vegetables and freshness fruit together to take in vitamin C when we heat up and cook it. It may be one solution to have the potato which vitamin C resisting heat is included in. We will think that an experiment is necessary in future to be repeated more. In 2015, Consumer Affairs Agency announced the new law about nutrient labeling in Japan. This law was made mandatory to perform it through a period of grace from 2015 through 5 by all means by 2020. Cooking process was having boiling, saute, fry and cook Et cetera. We compared the actual value with the nourishment calculated value about many nutrients at a time. Vitamin C became the detection limit of the analysis by cooking it. The mineral did not greatly have a difference with a calculated value and an actual value in the soup. The nutrient labeling by the calculation in the meal is only an aim. It was revealed that the nutrient labeling by the calculation in the meal might not be helpful depending on vitamins at all. It is necessary to take in the nutrient by eating in freshness depending on vitamins. As a result, it is necessary to tell consumers, do not trust nutrient labeling only. We thank the students of the lunch business administration laboratory which cooperated about the making of the meal. We appreciate that the cattleya kitchen (J-front Co., Ltd.) of the Matsuzakaya department store which adopted the menu which we made. Kojima A, Ozeki A, Nakanishi T, Sato Y, Chiba T, et al. (2017) Literature review on vitamin loss from foods during cooking (part1) - Fat soluble vitamins, and vitamins B1, B2, B6 and B12-, Vitamins (Japan). 91: 1-27. Watanabe F, Abe K, Fujita T, Goto M, Hiemori M, et al. (1998) Effects of microwave heating on the loss of vitamin B12 in foods. J Agric Food Chem 46: 206 -210. Zhao H, Yang X, Zhou R, Yanf Y (2008) Study on Vitamin B1, vitamin 2 retention factors in vegetables. Wei Shang Yan Jiu 37: 92-96. Kimura N, Itokawa Y (1990) Cooking losses of minerals in foods and its nutritional significance, J Nutr Sci Vitaminol Supple 1: S25-S32. Pan X, Zhao H, Meb J, Shen X (2007) Cgabges of vitamins and mineral retention factors in potato cooked by different methods, Wei Sheng Yan Jiu. 36: 485-487. Lee S, Choi Y, Jeong HS, Lee J, Sung J (2017) Effect of different cooking methods on the content of vitamins and true retention in selected vegetables. Food Sci Biotechnol 27: 333-342. Fillion L, Hennry CJ (1998) Nutrient losses and gains during frying: a review. Int J Food Science and Nurtition 49: 157-168.